We’ll eventually come up with a baked version of this that will travel in a lunchbox. 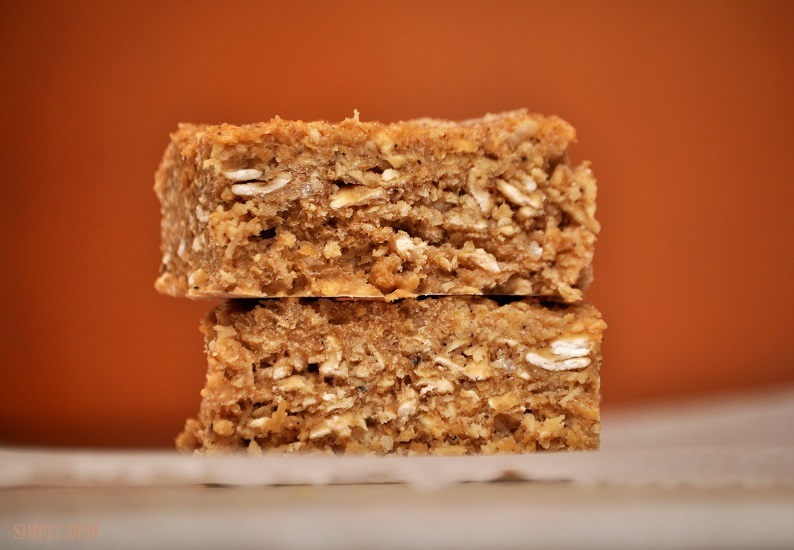 Soak one and a half cups of oats overnight…gluten free oats work just fine. Drain the liquid through a sieve, pressing the excess out. Toss the oats into a bowl and add in half a cup of coconut sugar, half a cup of unsweetened shredded coconut, two tablespoons of coconut oil and one generous teaspoon of vanilla bean powder. Give it all a really good mix. Press the mixture into a parchment lined loaf pan and place it in the freezer for a couple of hours. Remove and slice.